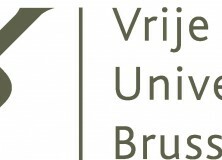 Postdoc positions on the evolution of speech and language are available for the ERC-project “Advancing Behavioral and Cognitive Understanding of Speech” at the Vrije Universiteit Brussel in Belgium. We are looking for postdocs who have recently obtained or who will soon obtain their PhD, and who have experience in experimental investigation or computer modeling of the evolution of speech. building computational models of the acquisition and evolution of combinatorial speech (description and how to apply here). The aim of the projects is to advance our understanding of how modern humans’ ability to deal with complex speech has evolved and whether there are any language-specific cognitive adaptations involved. The positions are for two years, while an extension to three years is possible (also depending on the starting date). Pay and social benefits will be in accordance with Belgian academic standards. The envisaged starting date is before June 2014.